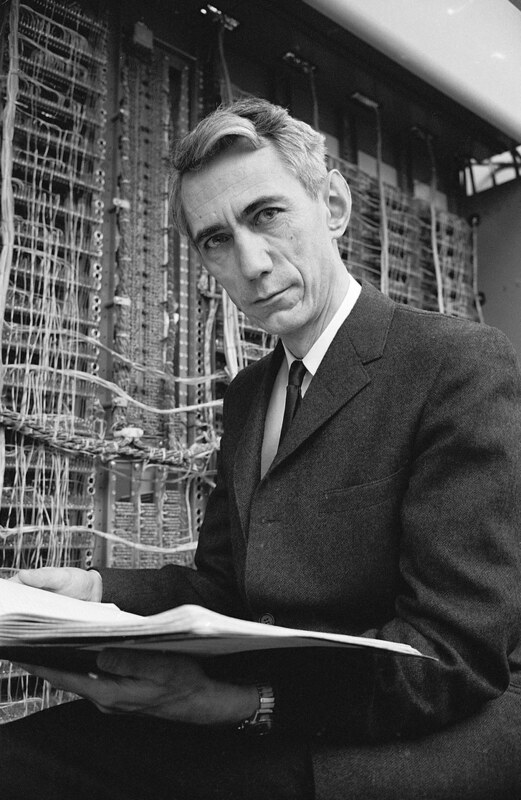 "Shannon pub­lished 'A Mathematical Theory of Communication' in a 1948 issue of the Bell System Technical Journal. He was then thirty-two years old. Most of the work had been done years earlier, from about 1939 to 1943. Shannon told few people what he was doing. He habitually worked with his office door closed. "Shannon took few Ph.D. students. They often had to meet him at his home in order to get advice. One student, William Suther­land, remembers walking in on Shannon's oboe practice more than once. 'He slept when he felt like sleeping,' said Betty [his wife], and would spend hours at the kitchen table thinking. "Artificial intelligence pioneer Marvin Minsky speculated that Shannon stopped working on information because he felt he had proven almost everything worth proving. The self-contained per­fection of Shannon's early work was unsurpassable. Fano mentioned an uncanny phenomenon. With rare exceptions, it seemed that whenever an information theorist mentioned a current problem to Shannon, (a) Shannon was aware of the problem, and (b) Shannon had already solved it, but hadn't gotten around to publishing it. "Shannon was yet in his forties when he took what amounted to an early, unofficial retirement. Thereafter Shannon was MIT's Bartleby, whose characteristic reply was 'I would prefer not to' -- ­clerk of his own private dead-letter office."